BILLINGS, MT (AP)-- Lawmakers in Congress have advanced a proposal to strip protections from gray wolves across the contiguous U.S. amid a push by Republicans for broad changes to the Endangered Species Act. It's a signal of growing frustration among Republicans over court actions restoring protections for species that government scientists declared to be recovered. 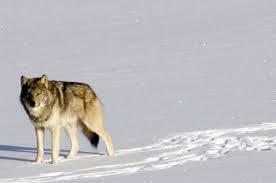 LANSING, MI (AP)-- State biologists say Michigan's gray wolf population appears to be leveling off after several decades of steady growth. 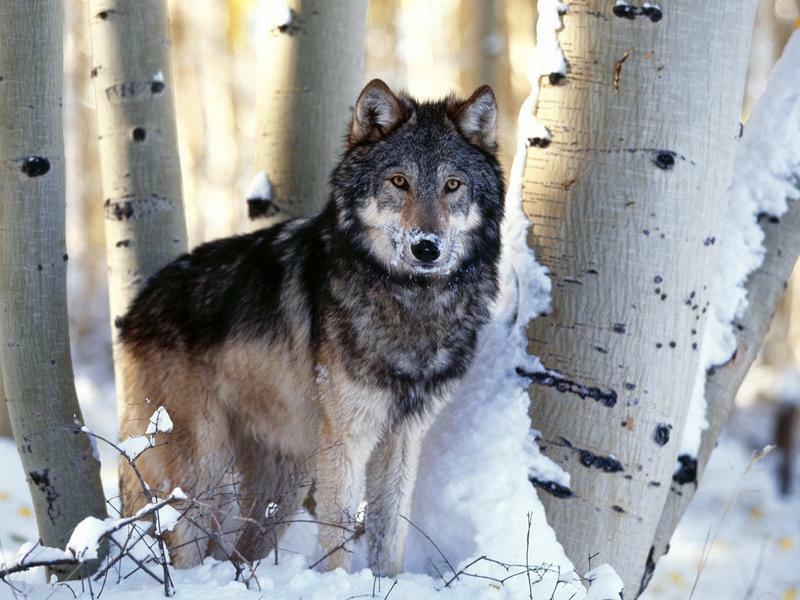 The Department of Natural Resources says a census this winter produced an estimate of 662 wolves in the Upper Peninsula. That's up slightly from 618 in the previous count two years ago. The survey found 139 packs — 15 more than in 2016. 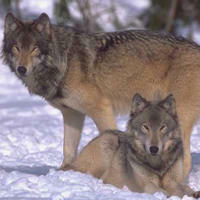 The average pack size was down slightly, to fewer than five wolves. TRAVERSE CITY, MI (AP)-- A federal appeals court is keeping gray wolves in the western Great Lakes region on the endangered species list. A panel of the U.S. Circuit Court of Appeals in Washington, D.C., on Tuesday upheld a district judge's 2014 ruling that the U.S. 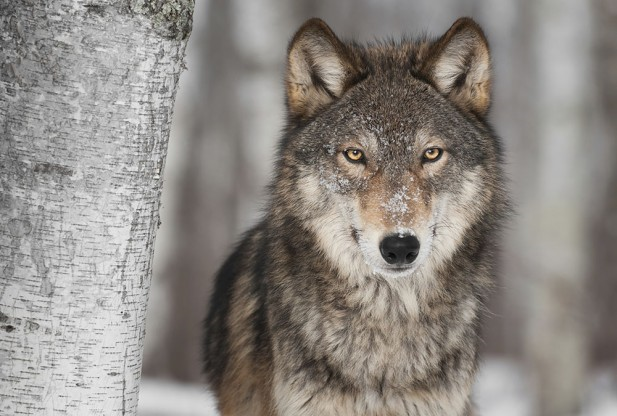 Fish and Wildlife Service had acted prematurely by removing federal protections from wolves in Michigan, Minnesota and Wisconsin. 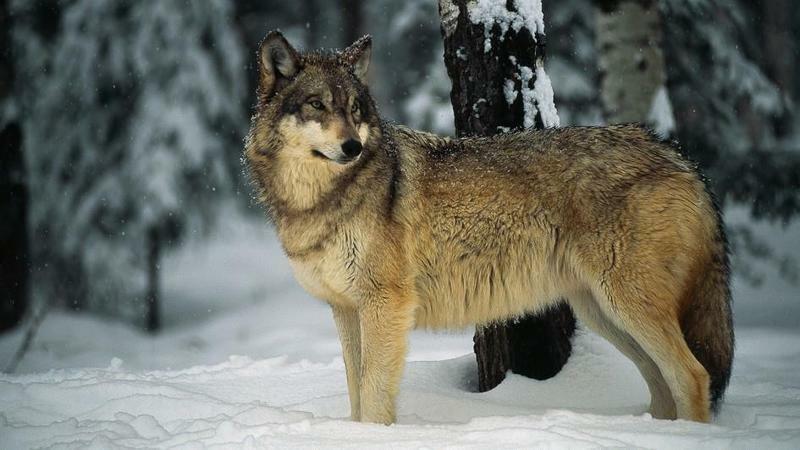 Wolves had nearly disappeared from the region when they were designated as endangered in the 1970s. They now total about 3,800. MINNEAPOLIS, MN (AP)-- Some members of Congress are making another run at taking gray wolves in the upper Midwest and Wyoming off the endangered list. The U.S. Fish and Wildlife Service had tried to take wolves in Minnesota, Wisconsin, Michigan and Wyoming off the list, saying those populations had recovered sufficiently to allow resumed hunting under state management plans. But courts in 2014 re-imposed federal protections for the wolves. TRAVERSE CITY, MI (AP)-- A federal report says managers are leaning toward relocating as many as 30 gray wolves to Isle Royale National Park from the mainland. The draft environmental impact study being released Friday includes four options for dealing with the declining wolf population at the wilderness park in Lake Superior. Only two of the iconic predators remain. The preferred option is to take 20-30 wolves to the Michigan park over the next three years. TRAVERSE CITY, MI (AP)-- Federal officials are taking a closer look at whether to bring more gray wolves to Isle Royale National Park, where only two of the iconic predators remain. The National Park Service last year began studying how to manage the Lake Superior park's wolf and moose populations over the next 20 years. But with the wolves on the brink of dying out, the service says Wednesday it will focus on whether to bring more of them to the island in the near term — and if so, how. MINNEAPOLIS, MN (AP)-- A proposal that would have taken wolves in the western Great Lakes region and Wyoming off the endangered list did not make it into a massive year-end congressional tax and spending package. Some lawmakers from the region had hoped to attach a rider to return management of wolves in Minnesota, Wisconsin, Michigan and Wyoming to the states, which could have opened the door to resumed wolf hunting. ISLE ROYALE NATIONAL PARK (AP)-- Scientists say two gray wolves recently crossed an ice bridge from Canada to Isle Royale National Park in Lake Superior but stayed only five days before returning. The short visit dashed hopes that ice formed by bitter weather over the past two winters would encourage more wolves to migrate to the island park and replenish its dwindling wolf population. 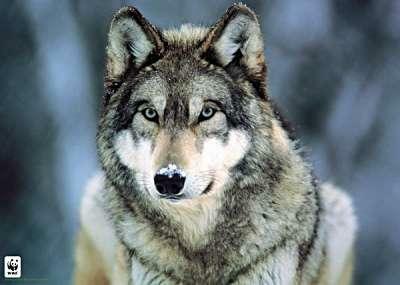 WASHINGTON, D.C. (AP)-- Gray wolves in the western Great Lakes region are protected by federal law once more. The U.S. Fish and Wildlife Service is publishing a rule Friday designating wolves in Michigan and Wisconsin as "endangered" and those in Minnesota as "threatened." The rule complies with a federal judge's order in December that overruled the agency's earlier decision to revoke wolves' protected status and hand management authority to the states. LANSING, MI (AP)-- State officials are planning to track the presence of gray wolves in Michigan's northern Lower Peninsula. The Michigan Department of Natural Resources says Monday that a survey is scheduled to begin February 16 on wolf numbers in the region. The survey is expected to run through March 13. 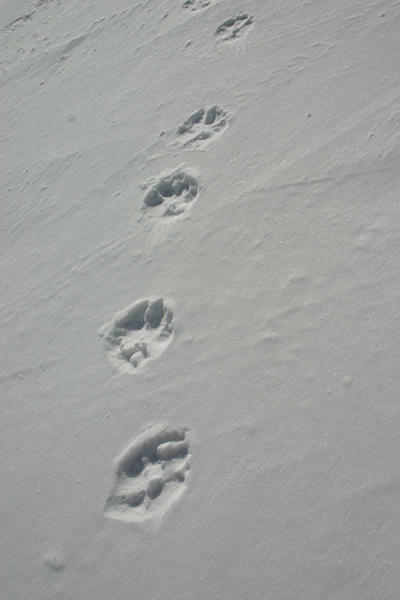 Wolf sightings or tracks believed to be from a wolf can be reported to the DNR online.